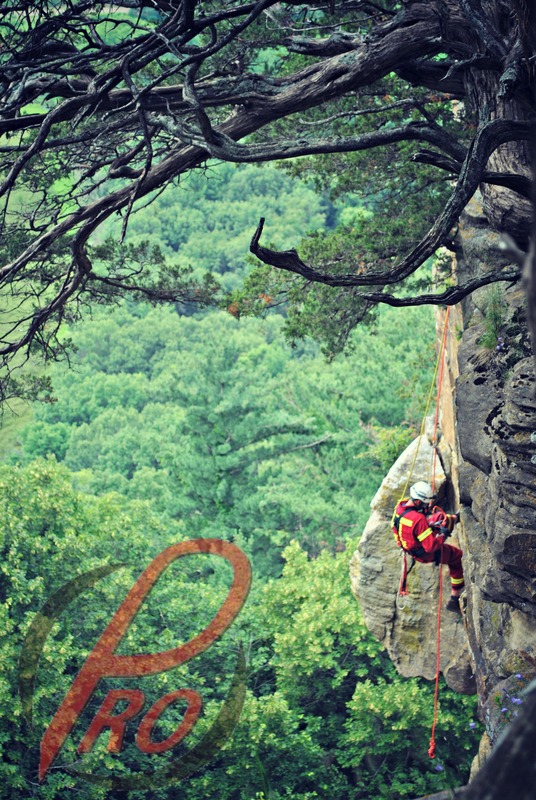 Blog | Pioneer Rescue & Outfitters LLC. Pioneer Rescue & Outfitters LLC. The tones go off at 10:30pm, jolting you awake. 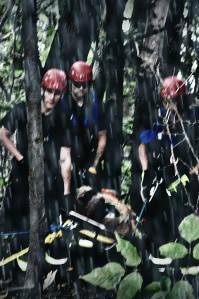 “PRFD, respond to County Park for a report of a hiker who has fallen down an embankment. Hiker is a 35 year old male, conscious and breathing, and complaining of a leg injury. Reporting party states patient is stuck part-way down the slope. B-boy response” You think to yourself that 30 minutes of sleep will have to get you through, as you step into your boots and rush out to your truck. Arriving on scene, you realize that this is going to be a long call; the heavy rain from earlier in the day has turned the slope into a sloppy mudslide. A member of your crew reaches into the compartment and grabs the first rope he lays a hand on; the new purchase (on sale) from the local hardware store. Realizing that you’ll have to bring the patient back up the slope, your crew starts to set assemble a lowering system. You set yourself a line and move into position as an edge attendant. Using your headlamp, you’re able to locate your patient. The patient, John, says he lost his way as the sun went down and got turned around. He slipped in the mud at the top of the hill and was lucky to be able to stop himself where he did, before he ended up sliding into the river below. He says he’s sure he’s broken his leg. You assure him that your team is ready to come to him, and explain what is happening. It’s a hard balance to create training scenarios that are realistic and at the same time minimize the threat to our rescuers. I suppose this is because the nature of rescue is dangerous. If it weren’t for dangers, we wouldn’t have been called in the first place. How often do we get calls on a perfect 75 and sunny day versus a day with sleet, snow, rain, high winds and zero visibility? So how do we balance the two, and create a training exercise that replicates real life, but doesn’t put our trainees in unnecessary danger? This largely comes down to the opinions and experiences of the trainer themselves. There aren’t any professional rescuers who don’t realize the inherent danger in what we do. We all need to be on our guard at all times. As every emergency worker knows, situations can completely change in a heartbeat and we always need to be on our game. © 2019 Pioneer Rescue & Outfitters LLC.